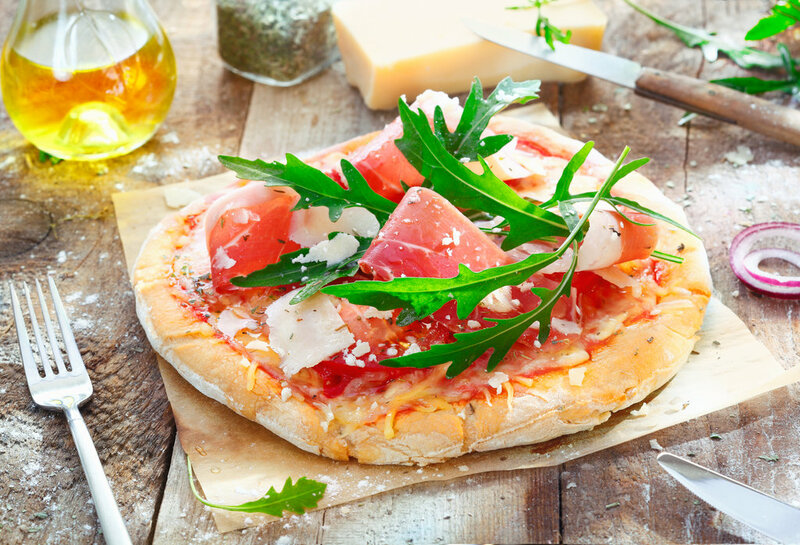 Great for families—or anyone who wants to learn to make pizza and gelato the Italian way—this informative and fun class is held in our dedicated cooking kitchen. After discovering the secrets of delicious pizza-and gelato-making, you’ll get to savor the specialties you made yourself—accompanied by acclaimed Tuscan wine vintages. After meeting your group (at either 2:30 p.m. or 6:45 p.m.), you’ll walk to our cooking kitchen (formerly a traditional Florentine osteria). You’ll meet your hosts—professional pizza chefs locally known as pizzaioli—and get a kitchen tour and cooking demonstration; then you’ll don aprons to try your hand at making your own pizza and gelato from scratch. Once your creations are ready to eat, you’ll settle into a table in the adjacent dining room, where you’ll get to savor the meal you made yourself, along with delicious regional wines. Please be sure to arrive at the tour departure point 15 minutes before the starting time. Guests arriving after departure cannot be accommodated, and missed classes will not be refunded. Please inform us of any food allergies or intolerances when booking. Please inform us if you plan to bring children younger than 5 years of age to class.